La Recoleta Cemetery - the history of Barrio Recoleta and its famous necropolis: from settlement of monks in Buenos Aires, church Our Lady of Pilar to most exclusive neighbourhood. Before we start the guided virtual tour of the cemetery itself, let me shortly introduce few historical facts. 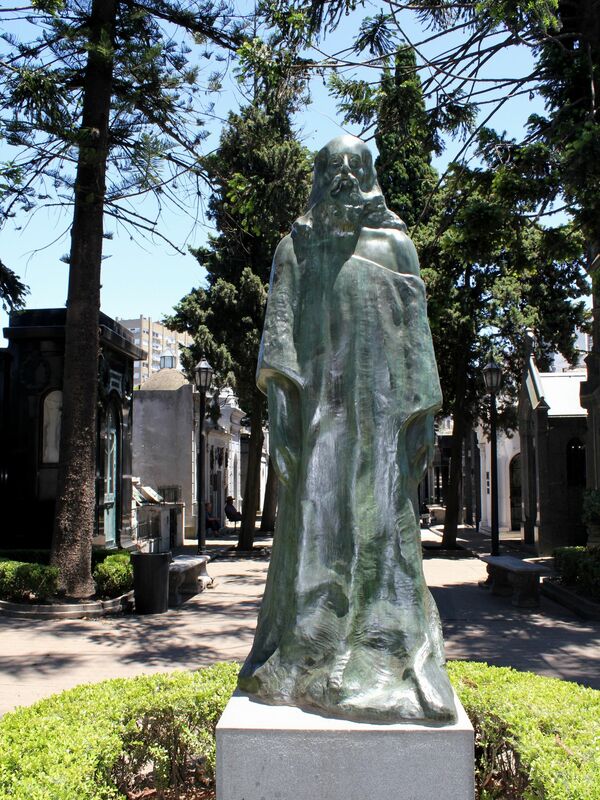 It all started at the beginning of 18th century when on these outskirts of Buenos Aires settled monks from an Orden de los Agustinos Recoletos (Augustine’s Order of Recoletos). 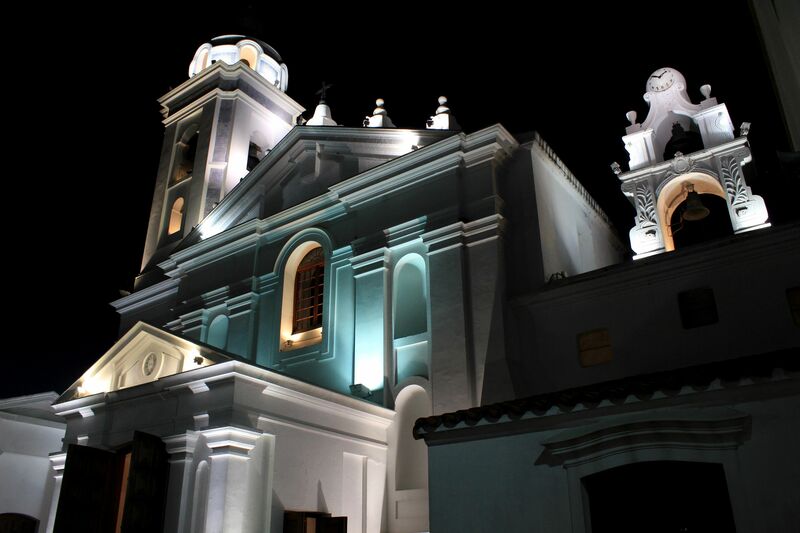 The beautiful church Our Lady of Pilar (Nuestra Señora del Pilar) build in 1732 (today the 2nd oldest in Buenos Aires) became the heart of the large complex of convent and surrounding gardens. 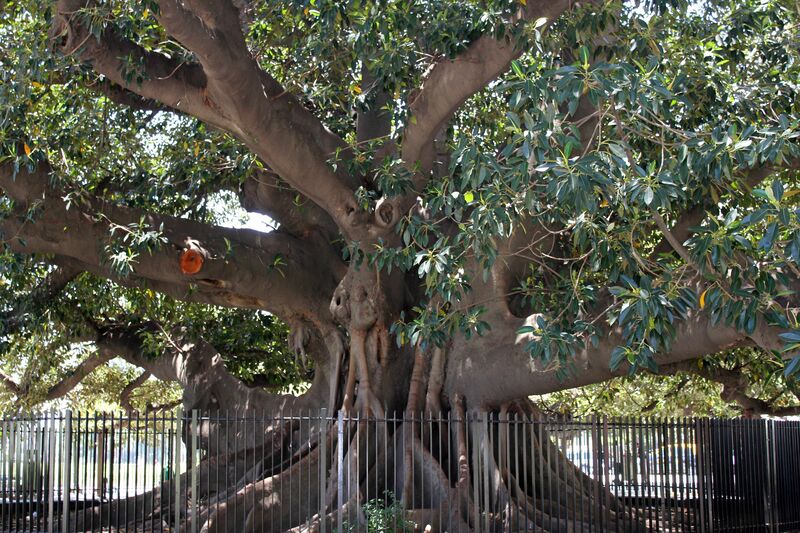 The amazing old trees that you can still see in front of the cemetery were planted by monks as part of their vast gardens. The fortune of Augustine’s monks changed after the country gained independence from Spain. Apparently monks “too firmly” stood on the side of the Spanish King. In 1822, as a result of this unfriendly position, the order was disbanded by then-Governor Martin Rodriguez. 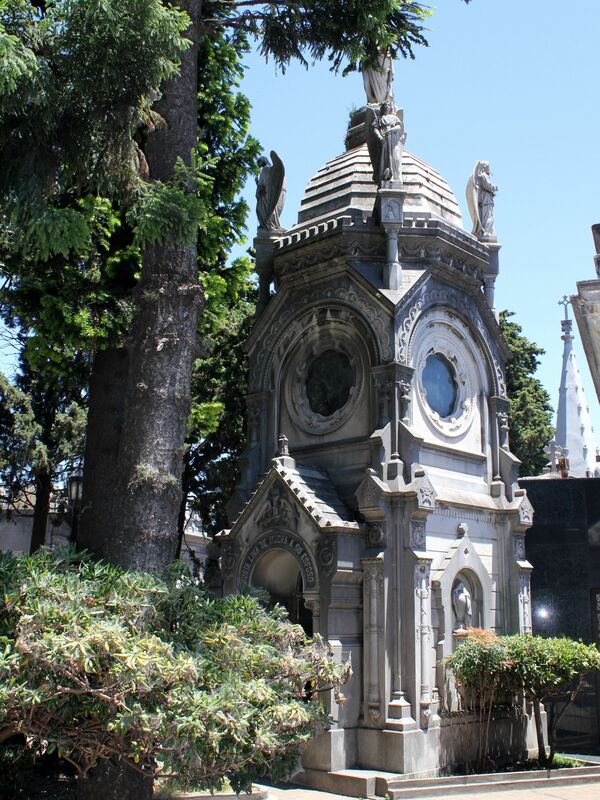 Subsequently the convent and gardens were converted to the first public cemetery in Buenos Aires. 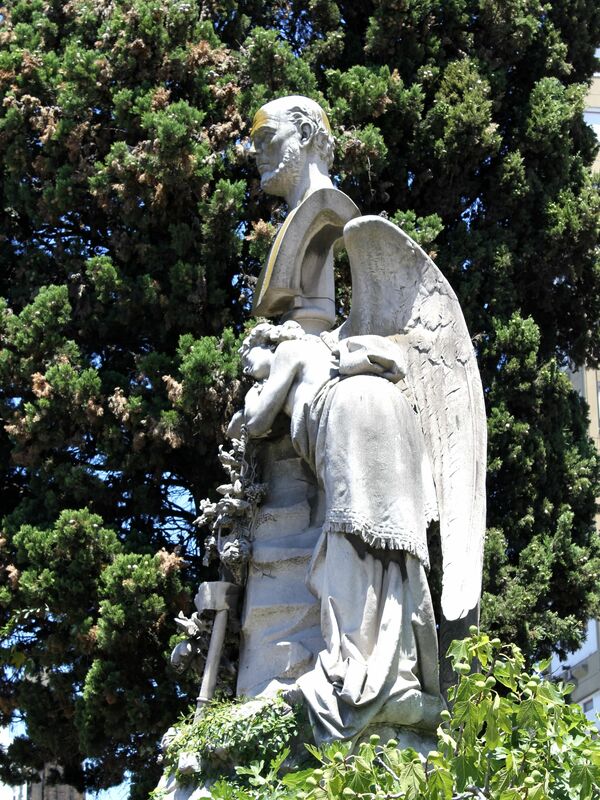 The initial layout of the cemetery was prepared by the architect and civil engineer Próspero Catelin the same year. The next major remodeling in 1881 by an Italian architect Juan Antonio Buschiazzo reflected the change of the status of Barrio Recoleta. 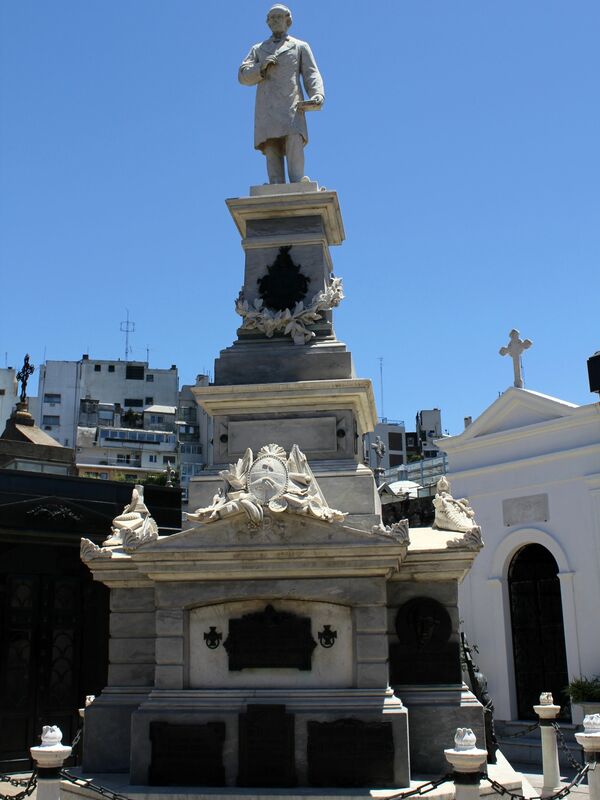 The ravaging epidemic of yellow fever of 1870’s greatly changed the landscape of Buenos Aires. Many upper-class families in a search for healthier environment moved out from crowded and “not-up-to-standards” barrios of San Telmo and Montserrat to new areas like for example today’s Plaza San Martin (Barrio Retiro) or Recoleta. Soon both neighbourhoods became the most prestigious areas in the city with splendid family mansions, foreign embassies and sumptuous hotels (Alvear Palace Hotel is still considered as the most luxurious hotel in all of Latin America). 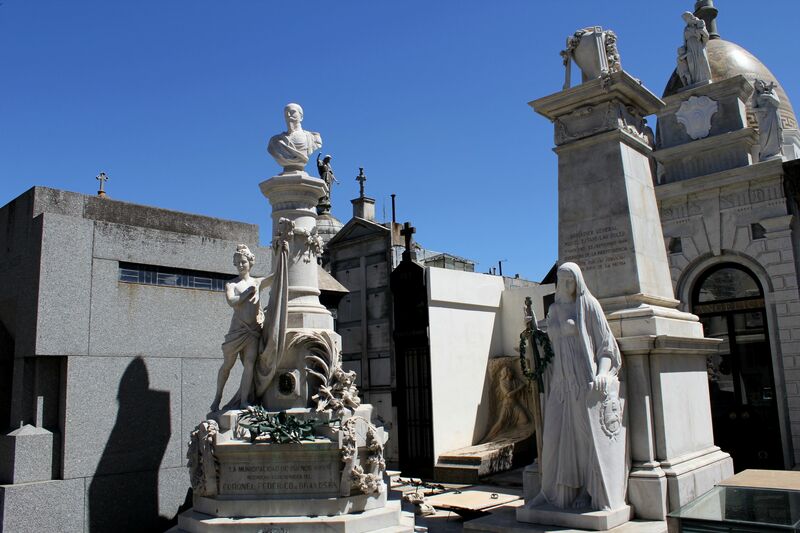 The rest is a history that today you can witness not only along the “local 5th Avenue” called Avenida de Alvear but first of all behind the walls of the Recoleta Cemetery. 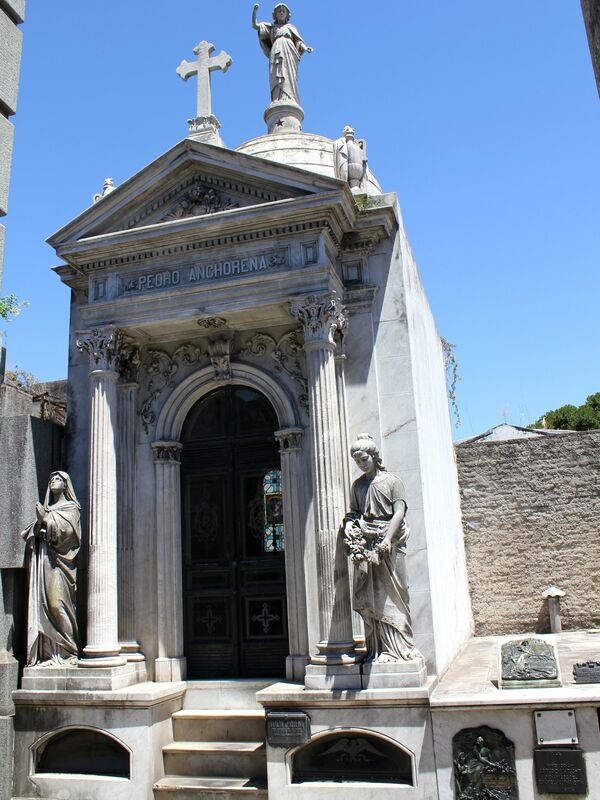 The Recoleta cemetery holds 4800 above the ground vaults (most of them have basements to store coffins). Despite the fact of being the City of the Dead, the cemetery follows the “outside world” and like any piece of real estate (BTW incredibly expensive one) – it changes with new “residents”. 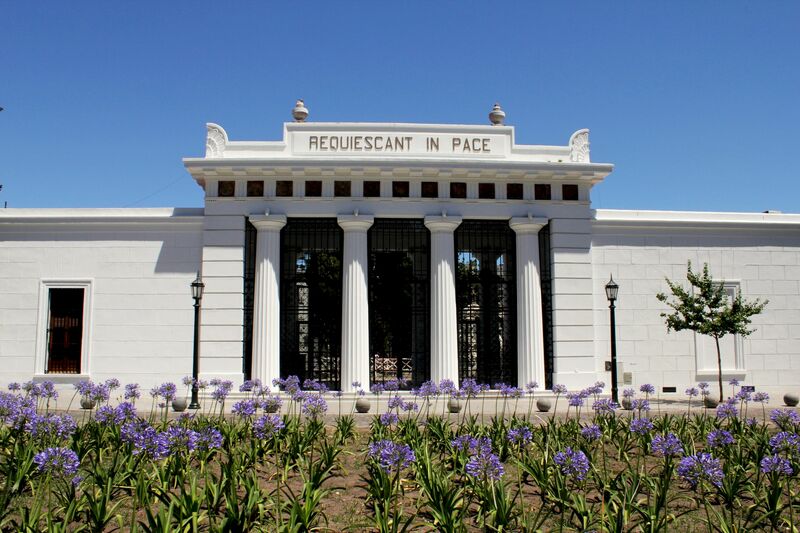 The main entrance to the cemetery is built in the neoclassical style enhanced by four Doric columns. “Requiescant in Pace” (Rest in Peace). Overwhelming majority of mausoleums is kept in a very good shape, but some are slowly decaying or already fallen into disrepair. In some cases, there may be no family members left to take care of them. In other cases it may be unaffordable fees (turbulent last few decades left many Argentinean wealthy families penniless). There is no place for “newcomers” at the cemetery; it is open only for those already having place here. From time to time you may hear that someone is selling his place, if you are interested, then be ready for big $$$$. 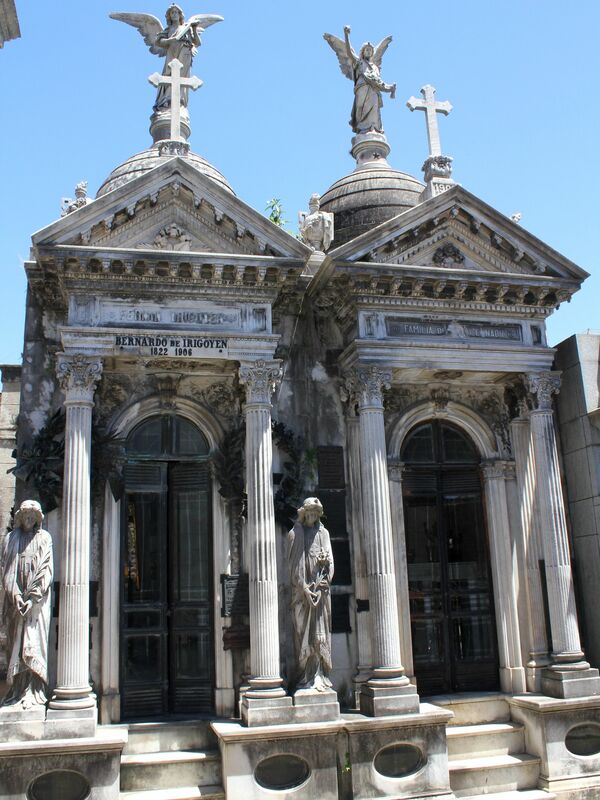 The necropolis’ architecture represents all styles visible on the streets of Buenos Aires – from neoclassical, through neo-gothic, Art Nouveau, Art Deco to modern day stylishness and simplicity. Each tomb is different and most of them with their elaborate ornamentation and remarkable sculptures are really pieces of art. 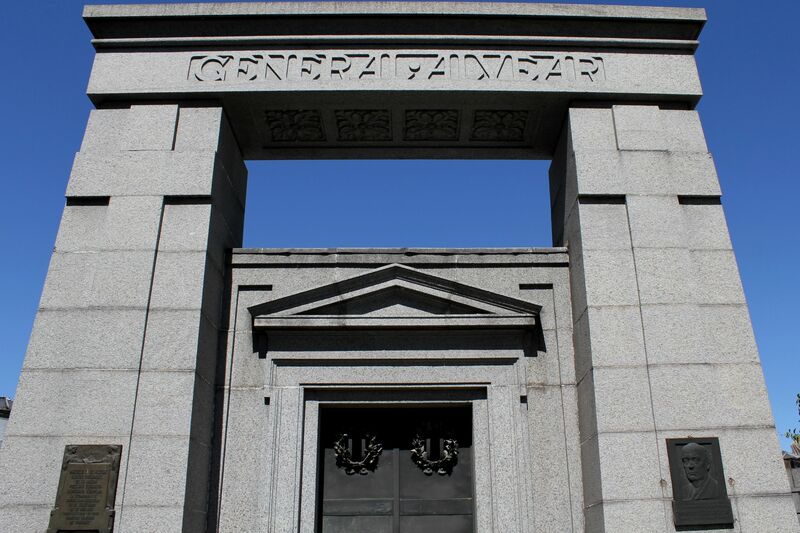 No wonder that some 70 mausoleums are ranked as the National Historic Monuments. Please keep in mind however that this extraordinary necropolis is not only an exhibition of art. 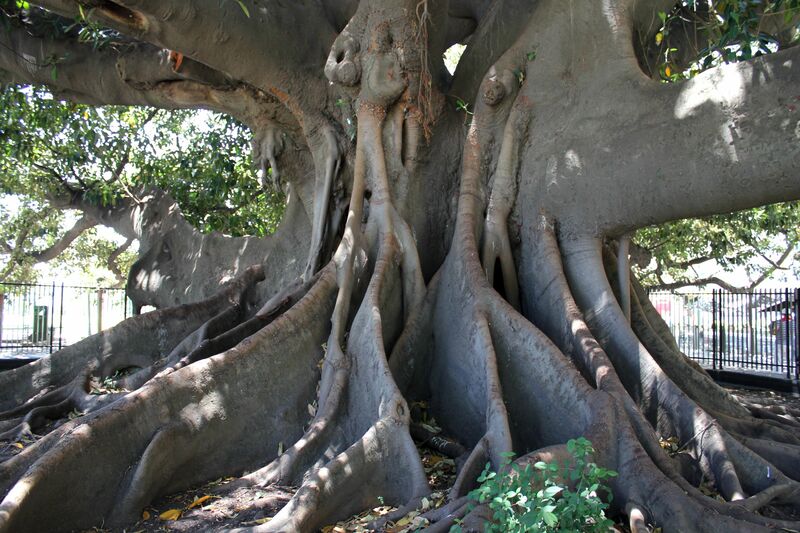 It is an open book of the Argentinean history, traditions, a soul of the wealthy part of the city….. 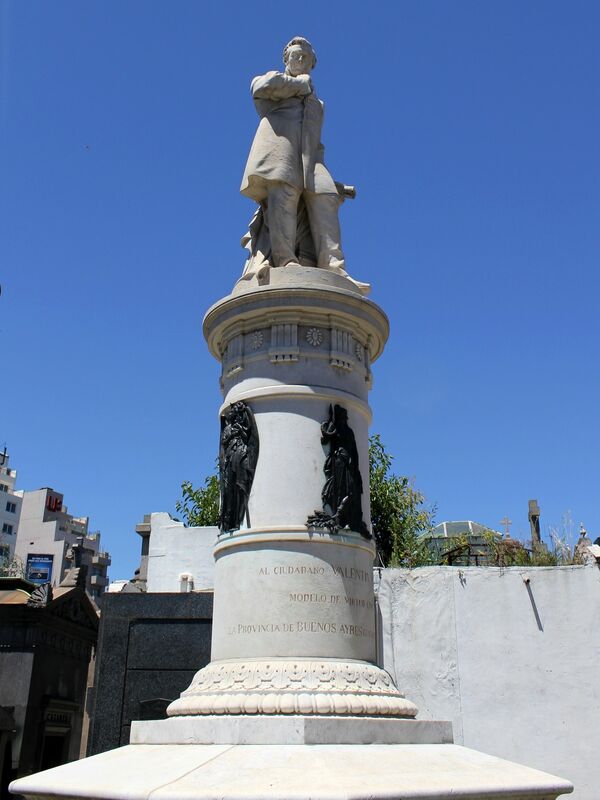 Right: Memorial of General-Brigadier Miguel Estanislao Soler (work by Torcuato Dasso - National Historical Monument). Frederico de Brandsen was a French military with an enormous experience gained during wars under the command of Napoleon. 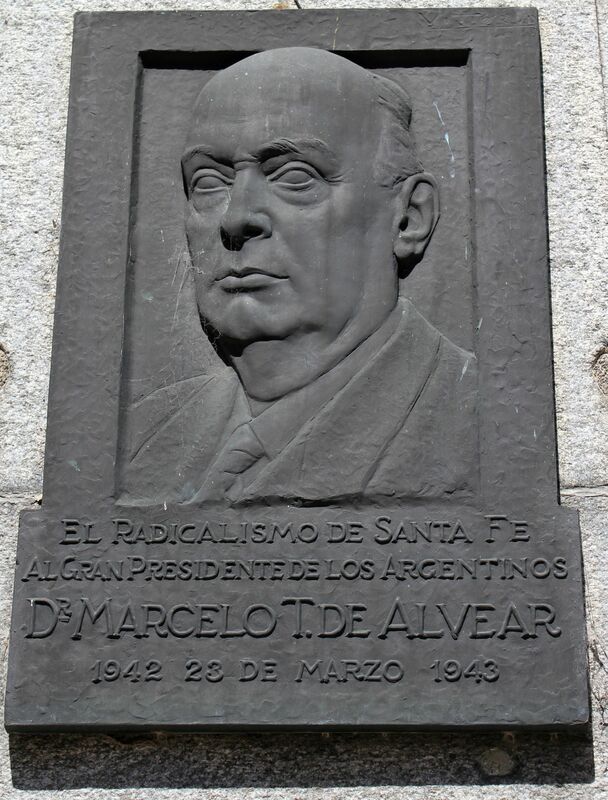 After the end of Napoleon rules in Europe, Bernardino Rivadavia (later the President of Argentina) convinced him to join the ranks of Argentinean army in the fight for independence of South American countries from Spanish control. 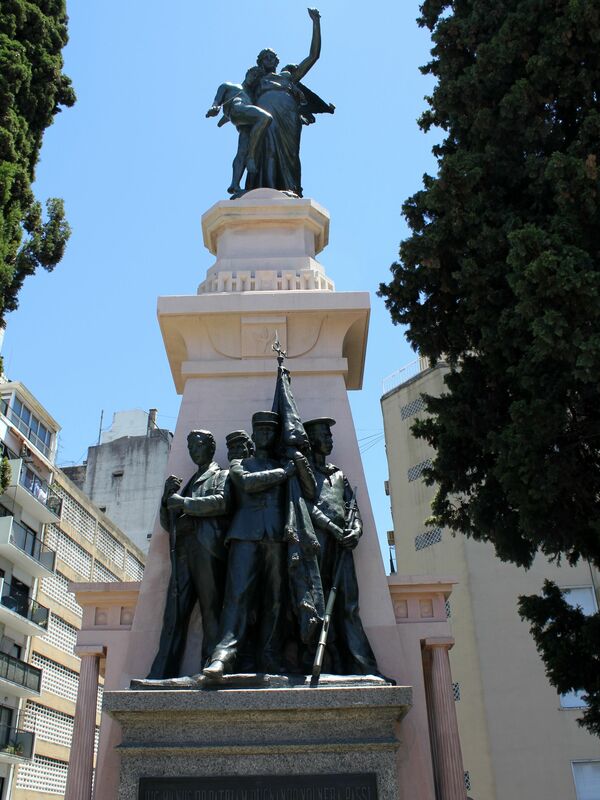 At the side of General San Martin he took part in the famous Expedition of Andes liberating Chile and Peru. The most notable moment of his live came during the war with Brazil in 1927. During the decisive battle of Ituzaingó, he received a very unfortunate order from General Alvear to lunch an attack on well fortified positions of Brazilian infantry. As a “seasoned soldier” he quickly understood that this is a suicidal operation. Not being able to convince his superior of impossibility of this mission he pronounced the famous words: "I know I will die but will comply with orders." And then heading his regiment he charged enemy lines heroically dying on the battlefield. Posthumously, Frederico de Brandsen was promoted to Colonel. Somehow this tragic end reminded me the famous words of another Napoleon’s general – “Soldiers are dying, but never surrendering”. 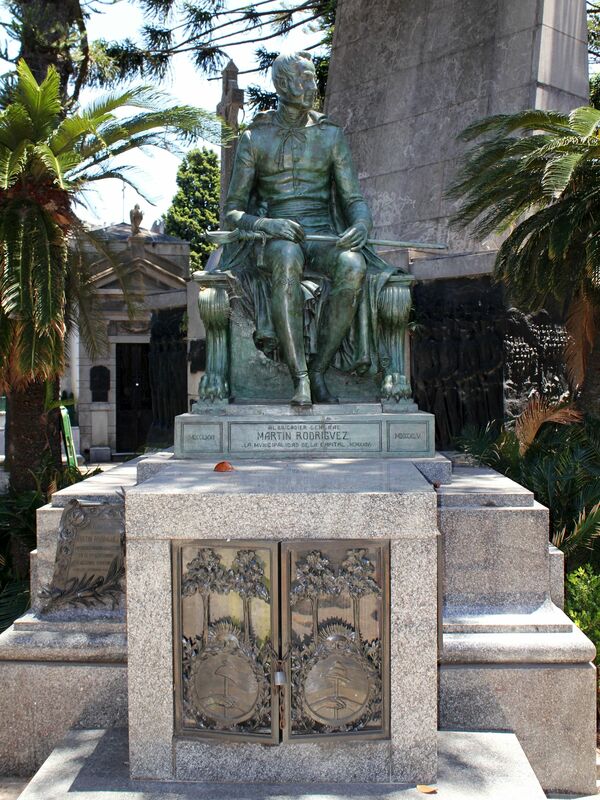 His tomb located next to the mausoleum of General Alvear was commissioned to Camilo Romairone (Brandsen’s bust was made by sculptor Bardas de la Serna). The figure next to the column carrying the flag represents the Glory of Soldiers….. Vault of Facundo Quiroga – an assassinated caudillo known as The Tiger of the Plains with a sculpture representing his heartbroken wife is a work of Antonio Tartadini. 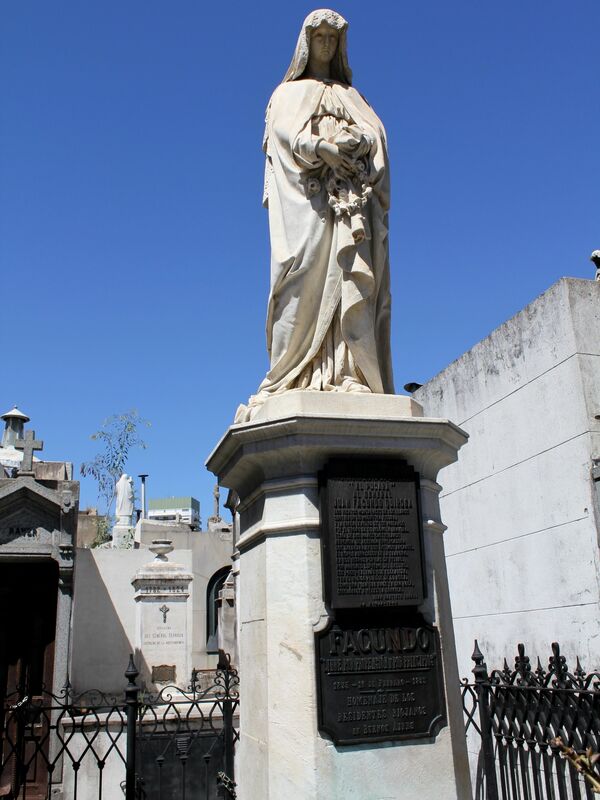 Rumors have it that Facundo Quiroga according to his wish was buried in the vertical position, believing that this is the only right position for a military man to stand in front of God. 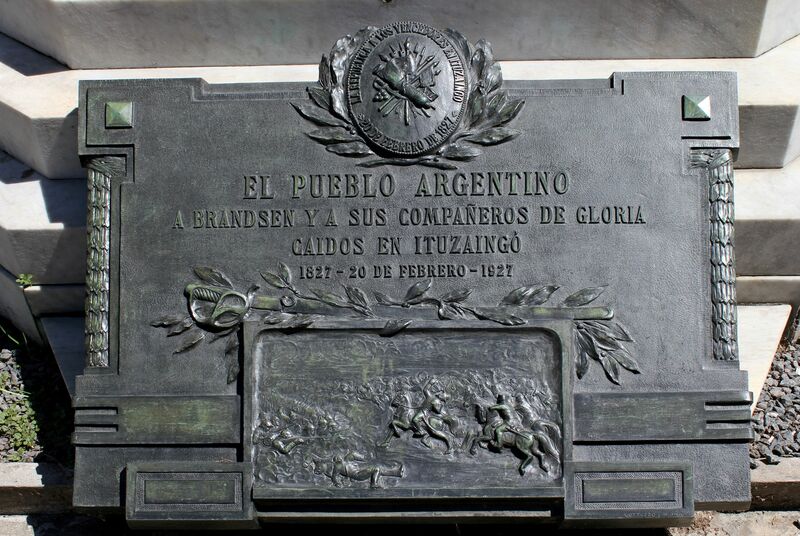 The tomb of Brigadier General Martin Rodriguez, (sculpture by Argentinean master Arturo Dresco). The Pantheon of the Fallen is dedicated to the members of the radical movement who died in the revolt of 1890 or later decided to join the memorial ground. The revolt was aiming to end the corruption and fraud of the presidency of Miguel Juarez Celman. The Pantheon contains the mortal bodies of Leandro Alem, Hipólito Yrigoyen (later the President of Argentina), Illia and other opposition leaders. 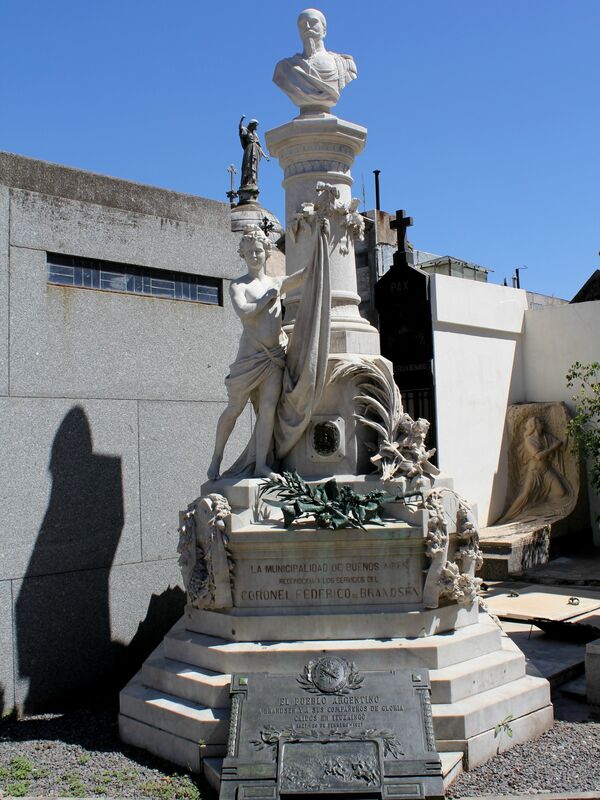 The monument is a work of Emilio Cantillion. 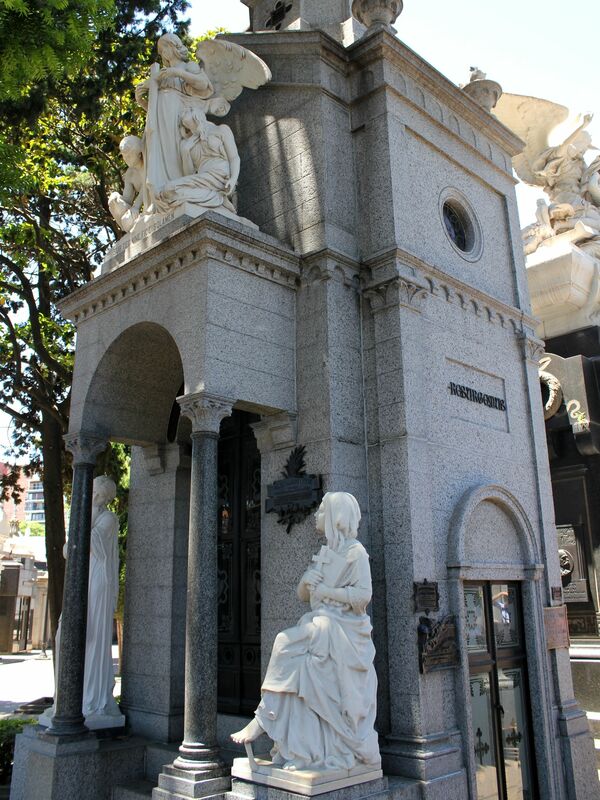 The two female statues at the entry to the mausoleum of Ramon Lopez Lecube were made by the most renowned Argentinean female sculptor – Lola Mora (they are signed with her married name Hernandez). 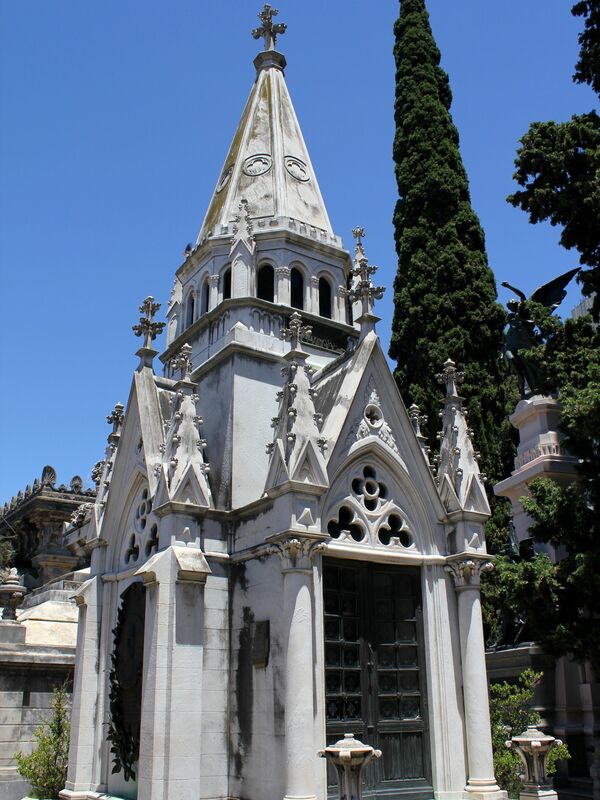 Above and below: Mausoleum of Jose Atucha, commissioned by his wife Justa Lima. 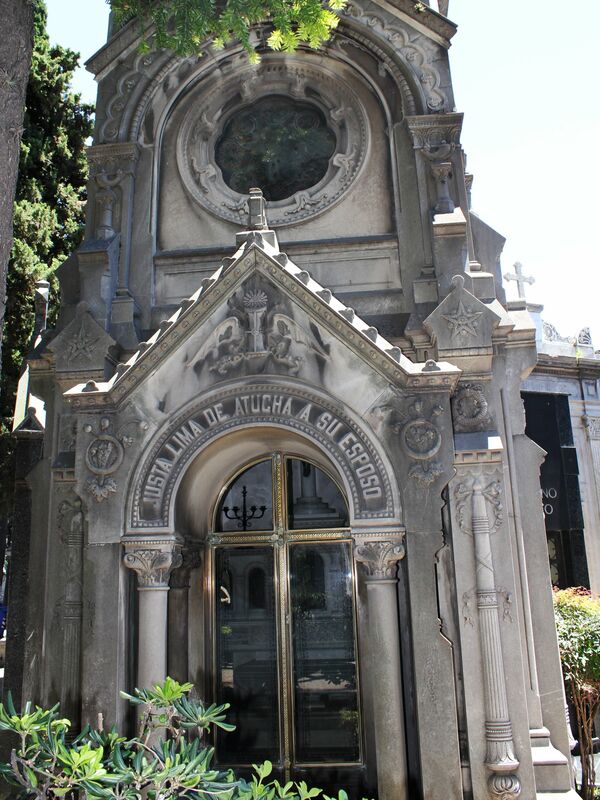 The Mausoleum of the Jose Atucha was commissioned by his wife Justa Lima. The predominantly neo-gothic structure is ornamented with several Masonic elements. 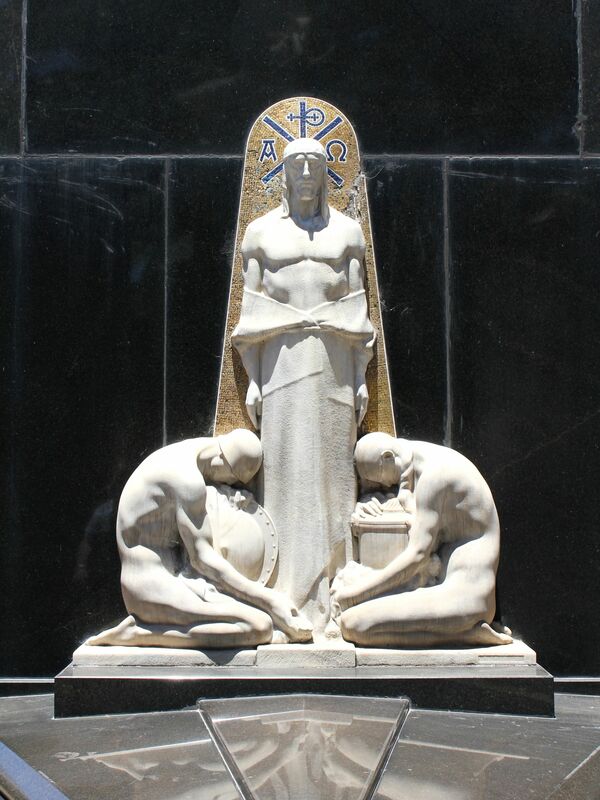 The source of these symbols is not well understood, because the there is no clear evidence that Jose Atucha was a member of Argentinean Masonry.